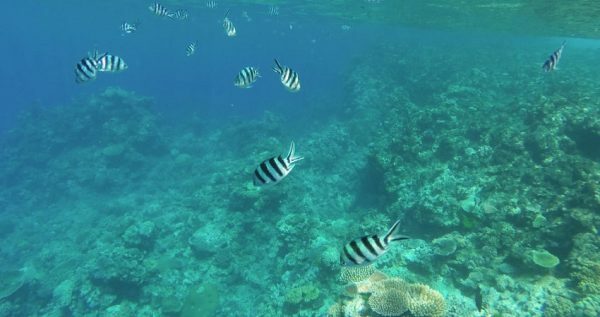 If you are a fan of the colorful underwater life and oceanic depths, and happen to vacation in Marmaris, then our delightful Marmaris Snorkeling Tour is the perfect fit for you. 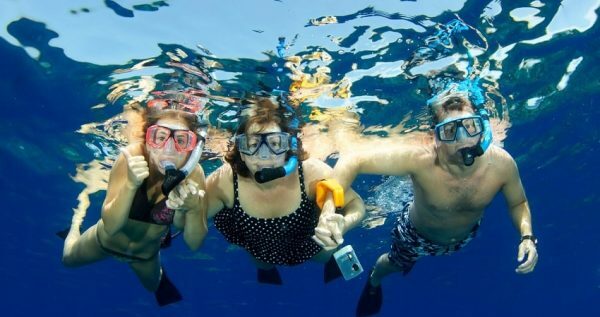 We organize our snorkeling trips as part of our diving excursions, which are orchestrated by boats. Our agency organizes hotel transfers for all of our tours, and Marmaris Snorkeling Tour is not an exception. Our driver will arrive in front of your hotel at approximately 9.30, so make sure that you are ready. You will be taken for a short and cozy trip to the Marmaris port. There you will be greeted by our staff and you will board our lovely boat. Once you are on board, we will set sail. Our diving instructors will explain some details you have to know before you start snorkeling. 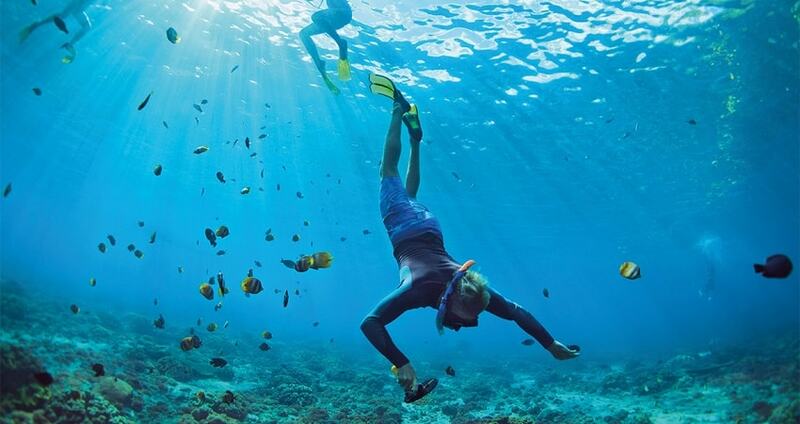 They will also provide you with your gear, such as diving masks, breathing tubes and swim fins. Snorkeling got its name because of the breathing tube which is called snorkel. If you want you can also rent a wetsuit which will provide you with sun-protection and reduce the possibility of getting stung or irritated. Snorkeling is one of the favorite activities among tourists, especially those with children. It doesn’t have any age limitations and it doesn’t require any complicated equipment and training like scuba diving. During Marmaris Snorkeling Tour we will sail deeper into the Mediterranean, but we’ll keep following the gorgeous Marmaris coastline. We will take numerous lengthy swim break in some gorgeous secluded bays with clear turquoise water. You will be able to snorkel and enjoy the vibrant underwater life, as well as sunbathe on some golden sandy beaches and enjoy the lovely view of the Turkish shoreline. As far as the snorkeling portion of the excursion is concerned, snorkelers are up for a treat. Unlike many other seas, the Mediterranean doesn’t have any coral reefs. However, that doesn’t make its underwater life any less interesting. In fact, some 40% of all marine variety in the Mediterranean are unique and native to solely this region. That is exactly why this area is so attractive and popular among underwater explorers from all over the world. 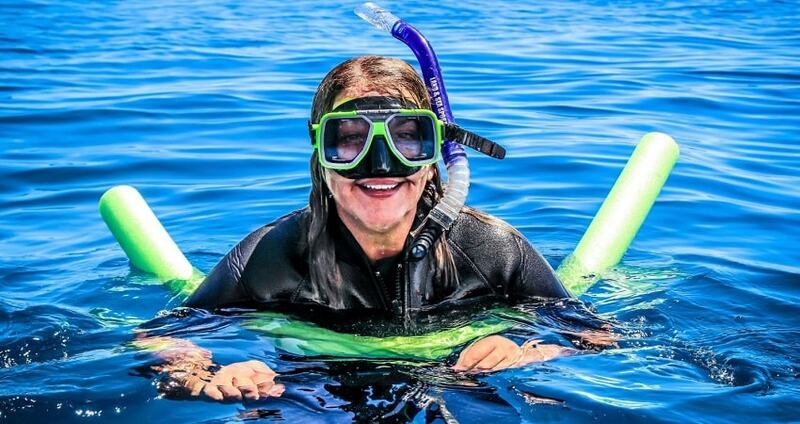 If you are an avid fan of the underwater life and you want to see the best of Mediterranean’s depths, reserve your spot on our awesome Marmaris snorkeling tour. Snorkeling excursions are organized in our Diving Boat. You can also take a look at our Marmaris Diving Tour. Marmaris Snorkeling Tour begins at about 9.30 o’clock with a quick and cozy transfer from your place of stay in the splendid Marmaris, to the city-harbor. Our boat will be waiting for you and the rest of your snorkeling group to come on board. Once we are all set and ready to go, we will set sail deeper into the clear-blue waters of the Mediterranean. Once we set sail, our diving instructors will hold a briefing. They will hand you your equipment and tell you some important details about the snorkeling itself. 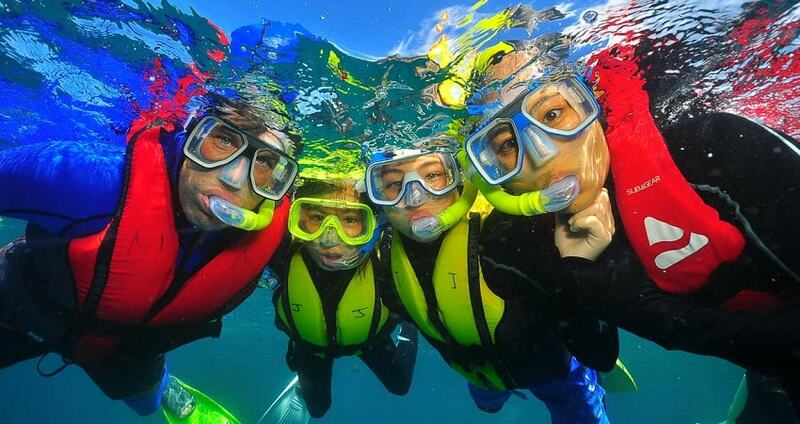 They will explain about the usage of your gear which includes snorkels, fins and diving masks. You can also rent out diving suits if you want some extra protection, as well as life-guard jackets if you aren’t sure about your swimming skills or those of your children. We will take several lengthy stoppages at some marvelous and quiet bays, so you will be able to use all of the advantages of almost completely transparent water. Mediterranean’s vibrant underwater fauna is quite legendary, so you will have a blast swimming amongst shoal of colored fishes and vibrant sea anemones. Some of the species you may encounter while snorkeling are Mediterranean Amebrjack, various species of Groupers, Gobies and Combers, as well as Seabreams and much more. Having fun and swimming among these fascinating underwater species is an unforgettable adventure. All in all, you won’t get bored snorkeling in the Mediterranean waters. During the journey we will serve a delicious luncheon on the deck of our sunny boat. You will get to feast your eyes on a lovely surrounding scenery as you have your tasty meal. This tour includes hotel transfer services, full insurance, full snorkeling equipment, lunch and instructions from English-speaking guides. The tour also doesn’t have any age limits whatsoever, and everyone who want to partake can do so. After our snorkeling portion of the journey is over, we will head back toward the harbor. We are expected to sail into the harbor at about 16.30. Our driver will be waiting to take you and the rest of your group to your respective accommodations in the city.